Rapper Lil Twist aka Christopher Moore who was arrested last year for allegedly breaking and entering and assault has been charged with six felonies. According to TMZ, Twist was accused of breaking into Disney star Kyle Massey's apartment and attacking his brother Chris Massey. 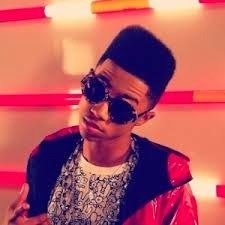 TMZ reports that Lil Twist and a few friends were in the Massey residence but were later asked to leave by Kyle. Twist and his friend later returned and allegedly pushed their way into the apartment, attacked Chris Massey with brass knuckles, pulled his pants down and stole his cell phone and wallet. An warrant has been issued out for Twist's arrest by Los Angeles authorities. The Young Money rapper who was also arrested in 2013 on DUI charges in California is looking at up to 25 years if convicted.